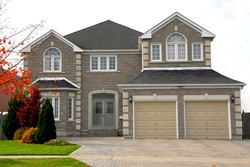 As a homeowner information is the best complement to your real estate assets. We will issue you a comprehensive market valuation of the desired property for your review; it will address active properties for sale and sold properties (see sample below). The analysis will enable you understand the competitive price the property can be listed for sale and successfully close. The correct pricing strategy will bring you the best qualified buyer in the least time. Complete the information on this page and your request will be processed by our personnel in a promptly manner; it will be provided to you for review and consultation with us.